Dr. Yadven was born and raised in the Bronx, New York. He received his undergraduate degree from Emory University in Atlanta, Georgia and a Masters degree in Molecular Biology from George Washington University in Washington D.C. After college, Dr. Yadven worked as a marine biologist for the Smithsonian Institute in both Washington, D.C. and the Caribbean. He then received his Medical Degree and General Surgery training at George Washington University. Wanting to return to the South, Dr. Yadven completed his Urology Residency at Tulane University in New Orleans, Louisiana. He is Board Certified by the American Board of Urology. Dr. Yadven has been in private practice in Bradenton, Florida since 1997 and is happy to call Florida his home. Dr. Yadven practices all aspects of general Urology, with particular interest in prostate disease, urinary stone management and minimally invasive therapies. He has developed products for the management of urinary retention resulting in a U.S. patent. 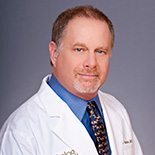 In his free time, Dr. Yadven enjoys photography and digital art, NFL football (he is a huge New York Giants and New Orleans Saints fan), computers, water sports and fun at home with his wife Sharon, his two children Sarah and Maxwell and his family’s animal menagerie.